Here's a rundown of the top hotels in every price range in our in-depth look at how to do better business on the go. It's not about the journey, it's about … the hotel. A decade after 9/11, business travel in America is more endured than enjoyed. In a gesture that symbolized the end of an era, airlines removed the olives from their salads. Then they removed the salads. Rental cars' odometers now spin past 30,000 and beyond before they're replaced. And who needs a massage when you've had a TSA pat-down? Yet business hotels are far better than they've ever been. When the travel industry felt the squeeze in the early 2000s, hospitality executives didn't slash services. Instead, they targeted niches and sub-niches with tightly defined brands, most of which are efficient to build and operate. "You don't always need five restaurants and 100,000 feet of meeting space," says Jim Abrahamson, president of the Americas region for IHG, the parent company of InterContinental, Holiday Inn, and Hotel Indigo, among others. "These days, we have a product for your blue jeans, and a different product for your pinstriped suit. You only get as much hotel as you need." Such segmentation has kept occupancy rates high and, crucially, opportunities attractive for developers and franchisees. And for travelers, it's meant the availability of a steady stream of new and updated properties outfitted with the latest amenities. Today even value brands such as Holiday Inn, Hampton Inn and Four Points will, likely as not, offer flat-screen TVs in your room, up-to-date equipment in the health club and a free breakfast in the lobby--a better product, in many ways, than the big-box hotels were selling at a higher price only a few years ago. "It makes sense when you consider the way you live in your home today," says Richard Baker, Mandarin Oriental's executive vice president for the Americas. "More room, more conveniences. That has also become the expectation for the traveler." Recently I set out to experience the latest in hospitality at three hotels around the country. In Boise, Idaho, I found an independent property for under $150 that had the intimate feel of my favorite European inns. In Washington, D.C., I stayed at Kimpton's Hotel Palomar, which had the reliability of a chain but a personality all its own. In Chicago, I stepped up the corporate ladder and lived like a big-time CEO at the Peninsula, which proved how luxurious the business-travel experience can be on an ample budget. Taken together, these stays offer tangible evidence of how well--and productively--a businessman can spend his time on the road. The exciting part isn't that these hotels are so far ahead of their competition, but that they aren't. Reviewing my trips to more than 20 states and half a dozen countries since writing last year's best in business travel article, I realized that I encountered enticing new (or newly refurbished) properties nearly everywhere I went, and a commitment to customer service that the rest of the travel industry can only fantasize about. "If our guests aren't having an amazing experience and talking about it on Twitter and the hotel-rating websites and everywhere else, we've got a problem," Baker says. "Because it's too competitive out there. Everyone else is doing great things. If I'm not, I won't be able to make it." Unlike the public's emotional response to the decline of independent bookstores in America, there's been little outcry over the demise of independent hotels. That's probably because the ramifications haven't been nearly as onerous. Today's national brands cater to so many different demographics that they seem anything but cookie-cutter. And some of the best hotels nationwide, including former independents such as New York's Waldorf-Astoria, Oklahoma City's Skirvan and the La Quinta resort near Palm Springs, have been reinvigorated since coming under the purview of a major chain. But finding an independent property with a bold personality is still a delight. Furnishings can be riskier and amenities more offbeat when you're buying for 100 rooms as opposed to 1,000 (not to mention 100,000). And because service standards are set by the owner, not someone in a corporate boardroom, there's a better chance that employees are empowered to get them right. When Boise's Hotel 43 first opened, for example, the rooms didn't have coffee makers. The amenity was deemed too Best Western for a hotel aiming to be both cool and ambitious. But guests demanded in-room coffee and, because there was no corporate blueprint, management was able to install gleaming new Keurigs in a matter of days. "We turned a weakness into a strength," says general manager Lisa Benjamin. I felt that same attentiveness when I visited in February. I lingered in the compact lobby just long enough to get my arrival gift of custom-made chocolate, flavored with huckleberries and cinnamon. I learned Hotel 43 was named for the 43rd parallel, on which Boise sits, and the fact that Idaho is the 43rd state. Then I stepped into my oversized room and the hotel's appeal became clear. The fabrics were textured, the color scheme of rich reds and dusty golds vivid without being overbearing, and the furniture seemed inspired by an interior designer's living room. Nearly two dozen books were on display in the credenza that housed the flat-screen TV--not thrift-store mysteries, but art books, local histories, even a cookbook featuring the local Basque community. French doors opened onto a tiny balcony with a view of the state capitol. A plush robe hung in the closet. Chain hotels have to prove their individuality, but independents have the opposite mandate. We know they're individual, but are they clean, reliable, serviceable? When there's no familiar name on the sign, there's far less margin for error. Hotel 43's staff is up to the challenge: Both my room and the public spaces were immaculate. I worried about water pressure, but my huge soaking tub filled in minutes. The shampoo and soap were the kind you'd find in a hotel twice the price. Towels were large and spotless. Like nearly all hotels in its price range, Hotel 43 has no concierge. Instead, its front-desk staff is taken on group outings in the area. They taste at restaurants and visit museums and other attractions, so when a guest wants advice they're qualified to give it. Every guest gets a free pass to the Boise Art Museum, and when amenities such as tickets to Boise State basketball games or ballets or concerts are given to the hotel, they're passed on to guests who request them. The workout room is nothing special, but I was astonished to learn that complimentary yoga classes are held twice weekly for guests, part of the singular experience at a one-of-a-kind hotel that gets the big and little things right. 2121 P St., NW, Washington, D.C.
Bill Kimpton pioneered the boutique hotel concept 30 years ago, but he didn't have a property on the East Coast until 2001. Today there are more than 50 spread over 25 U.S. cities, including seven Palomars, nine Monacos and one-offs such as New York's Ink48 and Miami's Epic. For business travelers, the hip stylishness of the Kimpton boutique concept--not to mention knockoffs such as Starwood's W--has become a standard feature of the hospitality landscape. I arrived at Kimpton's Hotel Palomar in Washington, D.C., not nearly as interested in finding trendy décor and downtown attitude as in receiving warm and efficient service. Snow had started to fall, the city was scrambling, travel warnings were in effect and I had a dinner and a meeting scheduled. I needed the organizational help of an efficient concierge--and a mug of the complimentary hot chocolate that's a feature of the chain's seasonal campaign. When I took a sip and realized it was the real stuff, not a powdered mix, I knew I was in good hands. The Palomar is a well-functioning mid-range business hotel with the benefits of a brand (including a generous frequent-stay program), but a feel all its own. There's a grace to the 5-year-old property that makes sense when you learn that members of the Washington ballet helped train the staff in movement. One of the suites is dedicated to dance, which is a leitmotif of the hotel; it includes an attached practice space with a mirrored wall and ballet bar. (Visiting performers actually stay there.) Perhaps more useful for business travelers are the 23 rooms with Fuji soak tubs and eight "motion rooms" equipped with treadmills or recumbent bikes. My room was standard-issue, but that still meant 500 square feet. I set up my laptop on the oblong desk, plugging it into one of the three eye-level outlets. As the concierge kept me apprised of weather conditions, I reshaped my evening. I'd been writing e-mails for half an hour before I noticed the Kimpton-issued twin robes, one leopard-spotted and one zebra-striped, hanging in the closet, and the textured black-and-brown carpet that--and this is especially rare in a hotel--I'd be pleased to find in my own bedroom. Leisure travelers don't really need a good restaurant inside their hotel. They're in a city to see it, after all. Heading out for a meal is part of the fun. But businessmen are there for a purpose, and often that means journeying no further than the lobby for dinner. When I stopped in for a cocktail at the bar, I was impressed by the Palomar's Urbana. Like the restaurants at most Kimpton properties, it's integrated into the local scene so well that you feel you've visited the city without even leaving the premises. Less than half the patrons are hotel guests, I was told, and the same is true at breakfast, when executives in the businesses and government agencies nearby congregate for French toast and loose-leaf teas. I needed to venture out into the cold for dinner, past the surrounding galleries, shops and restaurants to a distant Metro stop. I returned late, with wet feet and a pair of leather boots that had succumbed to the slush. The Palomar shines shoes overnight, but this was less a shine than a salvage operation. I handed the boots to the desk clerk, crossed my fingers and padded upstairs in my socks. The next morning, the four newspapers I'd requested were at my door, including the difficult-to-find Financial Times. The snow had stopped and my meeting was on for lunch. I checked at the front desk and was stunned to find my boots in near-perfect condition. "We have a way of getting it done," the clerk told me. It could be the hotel's credo. Here's what I realized when I checked into Chicago's Peninsula, just off Water Tower Place, in March: Luxury, real luxury, is personalized. I'd visited before, and my allergy to feathers had been noted, so my junior suite was outfitted accordingly. A knock at the door brought a snack tray and a bottle of wine. Not the usual pastries and chocolates that I usually leave uneaten, but fresh berries and dried fruit. And not just any wine, but a bottle from one of my favorite producers: Washington's Woodward Canyon. No surprise, considering a three-employee department at the hotel is dedicated to researching guest preferences. Why should such pampering matter to a business traveler? It makes life nicer, which is why CEOs, dignitaries and even rock stars rely on the hotel when in town. When your preferences are catered to without asking, you're free to be productive. And The Peninsula Chicago, one of only three North American hotels from the Hong Kong-based chain, offers guests plenty of cutting-edge productivity-friendly technology. Each of the 339 rooms has a docking station that enables a laptop screen to be projected onto the TV. Wi-Fi is free and super-fast, and--unlike many big-city hotels--cell phones function flawlessly. Innovations I especially liked included a control panel that allowed bedside access to heat and air conditioning; a readout of street temperature by the door so I could leave the room in the appropriate outerwear; and the luxury of watching most any TV channel or network worldwide upon request (including sports events). The wonder is that guests ever leave. 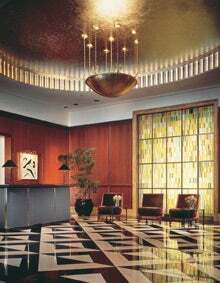 Zagat rated The Lobby, one of the four restaurants, the best place to eat at a Chicago hotel. Another, Avenues, recently earned two Michelin stars for its hyper-creative cuisine. Chauffered Mini Coopers are offered gratis for local transit. The two-story spa is the size of a small health club and features more than 30 complimentary fitness classes a week. And in keeping with the chain's policy of fulfilling guests' every request--"We never say no," says Maria Zec, general manager and regional vice president, East Coast, "unless it's illegal"--the concierge desk is a businessman's best friend. I was in desperate need of a haircut, so I called down for suggestions and received three. In less than an hour, I was shorn and shaven and back in my room. It was only a haircut, not nearly as notable as the time a guest quipped at check-in that he'd rather read a comic book than a newspaper and found three of his favorites outside his door in the morning, or when a pop star mentioned that she preferred a particular brand of bottled water and returned to her room to find a hastily sourced case of it. But a haircut is what I happened to need, and the hotel did the work of the assistant I wish I had at home. 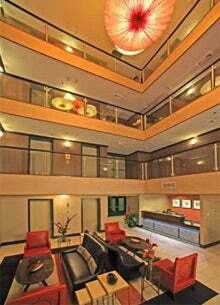 It saved me both time and uncertainty, which is exactly what staying at a top-of-the-line business hotel should be all about.